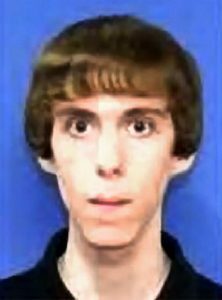 We are told that Adam Lanza was the 20-year-old lone shooter responsible for killing 20 first-graders and 6 adults at the Sandy Hook Elementary School in Newtown, Connecticut, on December 14, 2012. By now, we are all familiar with that now-iconic, curiously fuzzy pic of Lanza, speculated by some in the Alt-Media to be a photoshop. Others question whether Adam Lanza was even a real person. Born on April 22, 1992, Adam Lanza would be 26 years old today, had he lived and were he a real person. 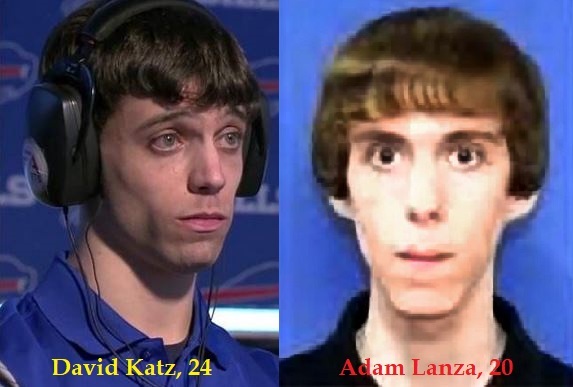 Curiously, Adam Lanza bears a striking resemblance to David Hogg and David Katz. David Hogg is the media-hog student activist of the M.S. Douglas High School shooting of February 14, 2018 in Parkland, Florida. We are told Hogg is 20 years old, born on April 12, 2000, but there are some who wonder if he’s actually older. 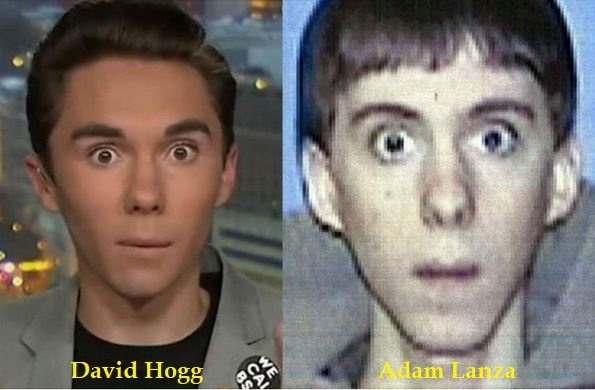 Note Hogg’s and Lanza’s similar eyebrows; same eyes; same nose; same small, thin-lipped mouth; same facial shape; same ears, especially their right ears. David Katz was the 24-year-old lone gunman who, we are told, shot and killed two people and injured another ten before committing suicide, at a video game tournament in Jacksonville, Florida, on August 26, 2018, at about 1:30 pm. 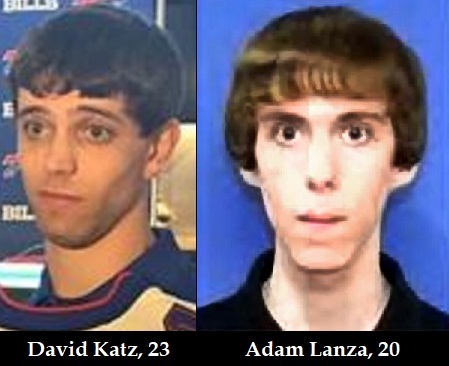 Note the similarities between Katz and Lanza: same curly bangs on forehead; same facial shape; same deep-set eyes; same nose; same “cupid’s bow” upper lips; same sunken cheeks; and identical square jaws/chins.